The faces of tourism in Macon, Ga. 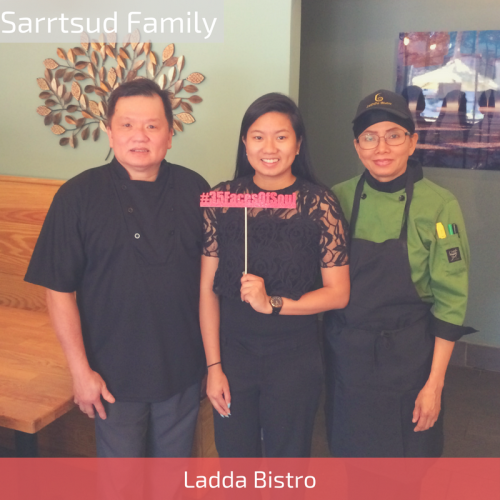 The Sarrtsud Family are the owners of Ladda Bistro in Downtown Macon. Tom & Ladda, a husband & wife duo, work closely together to create the delicious food while Jin, their daughter, greets & serves their patrons. When describing Macon in 3 words they said, "Family, food, & community." Stop by Ladda Bistro & choose from an array of Thai-inspired dishes.